Kathryn Lake Hogan is the professional genealogist, author and educator behind LOOKING4ANCESTORS, the research business she started in 2007. A graduate of the National Institute of Genealogical Studies where she studied Canadian and English genealogy, Kathryn has earned the Professional Learning Certificate in Genealogical Studies. She has completed the ProGen Study Group, and has attended the Institute of Genealogical and Historical Research annually since 2011. Starting with her own family history research over 10 years ago, Kathryn has not only made genealogy her passion, she has also committed herself to helping others discover the joys of family history and how to locate their own ancestors. Kathryn enjoys speaking both nationally and internationally at local, and provincial/state societies, and regional conferences. Her webinars featuring Canadian family history topics appeal to family historians from around the world. 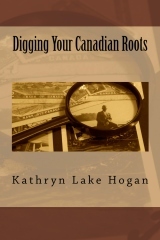 Kathryn is the author of Digging Your Canadian Roots, as well as having written fifteen guides featuring Canadian research topics for Legacy Family Tree. Giving back to the genealogy community is important to Kathryn. She was the branch genealogist for the Bicentennial Branch of the United Empire Loyalists’ Association of Canada for six years. 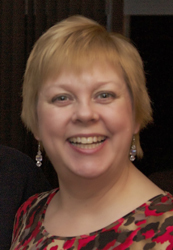 Currently, she is involved with the Ontario Genealogical Society as a member and as the webinar coordinator. You can check out Kathryn’s website at: www.looking4ancestors.com or follow her on Twitter: @Look4Ancestors. Contact a professional genealogist and ask them a question.